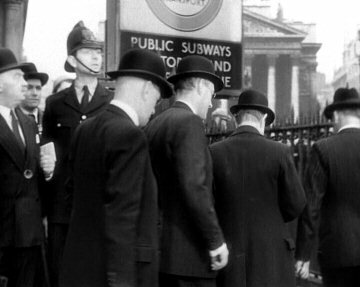 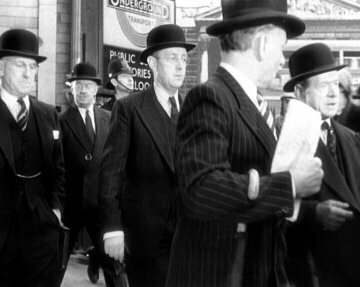 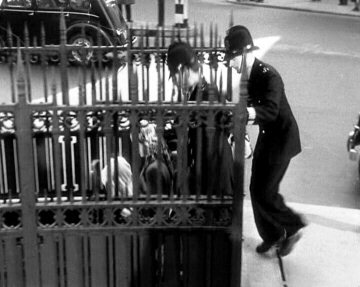 The classic Ealing comedy sees lowly Bank of England employee Henry Holland (Alec Guinness) organising the robbery of the bullion van he is supposed to be escorting. 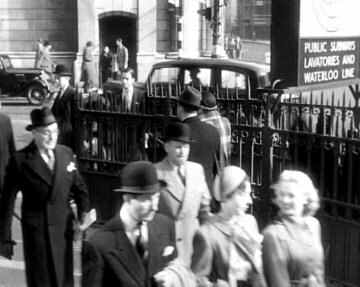 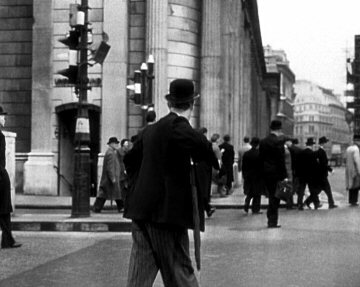 In an early scene he is seen passing the Bank itself, with the entrance to "Bank" station incorporated into the facade, and later exiting from one of the subway entrances on the other side of the road. 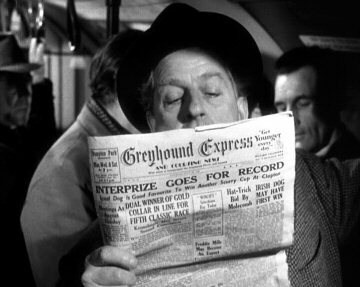 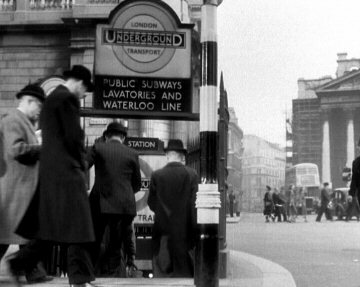 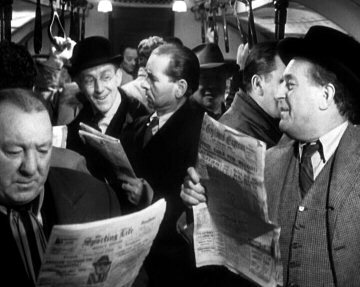 A later scene sees him and co-conspirator Alfred Pendlebury (Stanley Holloway) on a crowded tube train. 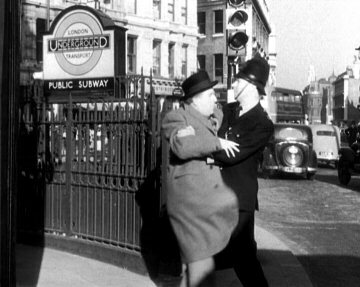 After the robbery itself, Pendlebury escapes via one of the subway entrances to "St Paul's" station, while a later chase sees Holland evading the police by running into one subway entrance to "Bank" and then immediately running out of another, before re-entering again. 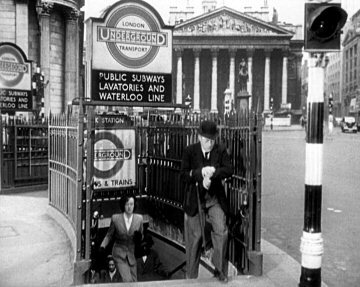 With the exception of the in-train mock-up, the original locations are used, offering interesting views of the bomb-damaged capital just six years after the end of the Second World War.